Self released by the band. All covers are in double sided A4 foldout format while tapes vary from copy to copy. Only 270 copies had the lyric sheet inserted by the band themselves but more inserts have been supplied to owners of the record since then. This lyric sheet is still available for 1 €. Mini-CD pressed in approx. 2000 copies. The mini-LP version was supposed to be released by Maggot, but was finally released by Azter’s own label Horror Records in a limited edition of 333 handnumbered copies, all including an insert. MC version was licenced mainly for the East European market and pressed in 2000 copies. 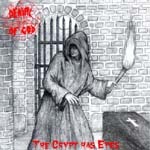 The MC includes the ”The Crypt has Eyes” and ”Robbing the Grave of the Priest” 7” EPs tracks as bonus material. The 12" picture vinyl re-release was pressed in a limited edition of 500 copies. This re-release include a 12-page booklet for the CD and a big foldout insert for the vinyl with liner notes, many photos etc. The first 1000 copies of the mini-CD re-release were printed with the barcode for the "Klabautermanden" mini-CD, so a sticker with the correct barcode was placed on the shrinkwrap on most copies. Limited edition of 333 handnumbered copies. All copies numbered on the inside of sleeve and some additionally numbered on the back of sleeve by the band themselves. Includes insert. A white label testpressing (in white inner sleeve, no cover) exists in 3 copies. The recordings are demo versions from 1997. 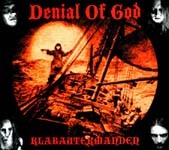 Stormvarslet + Klabautermanden + Black Horror Metal + Dethrone the Tyrant-God! Digipack mini-CD pressed in a limited first edition of 2000 copies (but never re-pressed in jewel case format) and picture 10” mini-LP pressed in a limited edition of 500 copies. Both releases were released without booklet and insert, so there are no lyrics or recording information to be found on either format and the picture disc version does not even have the band name on it. Approx. 130 copies of the vinyl version had a red or orange xeroxed lyric sheet inserted by the band themselves and more inserts have been supplied to owners of the record and CD along the way.This insert is still available directly from the band for 1 €. The promo CD consists of only the disc and a sales sheet insert. The 12" vinyl re-release was pressed in 500 hand numbered copies of which the first 100 are in red vinyl. The re-releases contain all the information missing on the first versions from 1999 and furthermore include a 12-page booklet for the CD and a foldout insert for the vinyl with liner notes, many photos etc. Both regular vinyl editions are limited and handnumbered editions of 500 copies, all including an insert. The first pressing comes with a pink/black back cover while the second pressing comes with a cupper/red back cover. Also the inserts in the second pressing differ slightly from the first pressing’s inserts. The picture disc is limited to 110 hand numbered copies and comes with insert. ”Terror” is a cover of Death SS. The 7" EP is a imited edition of 1000 handnumbered copies. Labels have been placed on the reverse sides on all copies. The picture 7" EP is a limited handnumbered edition of 305 copies. Both versions include an insert. ”Funeral Fog” is a cover of Mayhem. Shock Rock Hellions - A Tribute to W.A.S.P. Compilation of bands paying tribute to Shock Rock legends W.A.S.P. 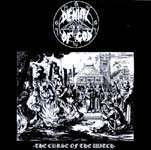 Denial Of God plays "Hellion" along with 11 other bands: Dracena (swe), STOS (pol), Holy Death (pol), Ceremonial Castings (usa), Blackies (ita),Victimizer (den), This Tangled Web (oz), Impaler (usa), Captain T & Ostronomy (usa), Crystal Viper (pol) and Exekrator (den). The Victimizer track also features Azter on bass. All CD covers are badly cut out and some copies come with a xeroxed insert with the Danish bands featured. 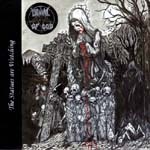 Limited edition release to promote the "The Horrors of Satan" album. The 7" was pressed on heavy vinyl and was the first 7" on Painkiller Records to be released in a vinyl color different from black or red. It was limited to 500 copies of which the first 100 came in clear vinyl (supposed to be clear with red splatter but the factory made a mistake). The CD-single was limited to 1000 copies. Also with this one the pressing plant made a mistake and pressed the CD without a bardcode. Approx. 650 copies were re-printed with the barcode leaving only the 350 copies that had already been shipped from the label without the bardcode. "Swords of Vengeance" is a cover of Future Tense. The first 1000 copies of the CD version came with a slipcase. The promo CD comes in a cardcoard sleeve with a sales sheet included. All vinyls include an A2 poster which was also printed for promotional use. The yellow/black vinyl was limited to 100 copies, the black vinyl to 400 copies and the picture disc version to 500 copies. A license was made to No Sign Of Life. All 1000 copies came with misprinted booklets and traycards that were destroyed and replaced with corrected ones - except for about 200 copies that had already been distributed before the misprinting was discovered. The second pressing of the CD was manufactured by a different pressing plant, so the matrix number is different from the first pressing. Also the booklet is more glossy and printed on thicker paper. The Russian pressing was released mainly for the Russian/East European market. Special 1-sided tour 7" pressed for the Horror Down Under Australian tour in July 2007. All records are pressed in blue/black haze vinyl and hand signed on the B side in silver by the 3 members playing on it. Limited to 300 hand numbered copies.- The back of the sleeve mentions 6 tour dates although only 5 were actually performed. The testpressing is in black vinyl and with a special sleeve. 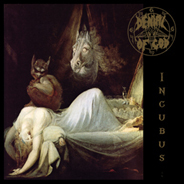 Contains the two early demos "Oscularium Infame" (1992) and "The Dawn of Aemizaez" (1993) remastered at berno Studio 2008. The LP version was limited to 666 hand numbered copies pressed on glow-in-the-dark vinyl and comes with an A1 poster and printed inner sleeve in a gatefold sleeve. The first 150 copies included an additional exclusive red t-shirt and an embroidered patch. The test pressing was on black vinyl and in a special sleeve including glow-in-the-dark maggots and a white t-shirt. 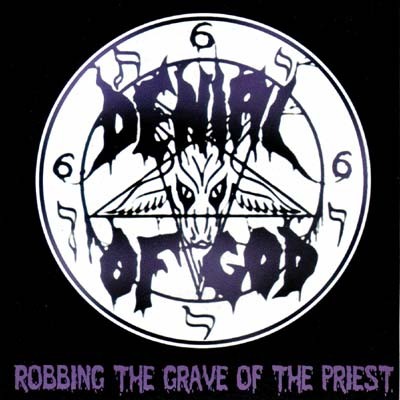 The LP release was delayed due to the initial printer refusing to print the cover "depicting Satanism and blasphemy". This tape was a raw pre-productiondemo of songs to appear on the following 3 releases. It was made in 33 hand numbered copies and only given to people close to the band to show the new material to be studio recorded soon. All tapes are black with white labels and hand numbering on side A. It was never for sale.